Hot tub and swim spa specialist company Aqua Warehouse Group is gearing up for promotion of its Aqua Spa Supplies services during the company’s second SPATEX outing at the Ricoh Arena. Leading wet leisure distributor and Aqua Warehouse Group chief Richard Hart has booked into SPATEX again to promote his flourishing Aqua Spas Supplies trade service, which is proclaimed to be the fastest growing accessory distributor in Europe, during the service’s second outing in the Ricoh Arena’s Jaguar Exhibition Hall from January 31 to February 2. Richard, who supplies the L.A Spas and Vita Spa ranges of USA hot tubs and swim spas to the two British dealer networks, has confirmed he will be occupying a similar sized area on Stand C66 as the one he adopted when his Aqua Spa Supplies company made its exhibitor debut at the 19th edition of SPATEX last year. Aqua Spa Supplies will also be providing details and comprehensive product information on various pool vacuums and spa filter cleaners during a special Aqua Spa Supplies Seminar in Arena 2 in the Jaguar Exhibition Hall on Sunday, from 10:15am to 10:45am. “We will have the same kind of stand size as last time round to help promote all of our flourishing hot tub and pool product accessories,” said Richard. 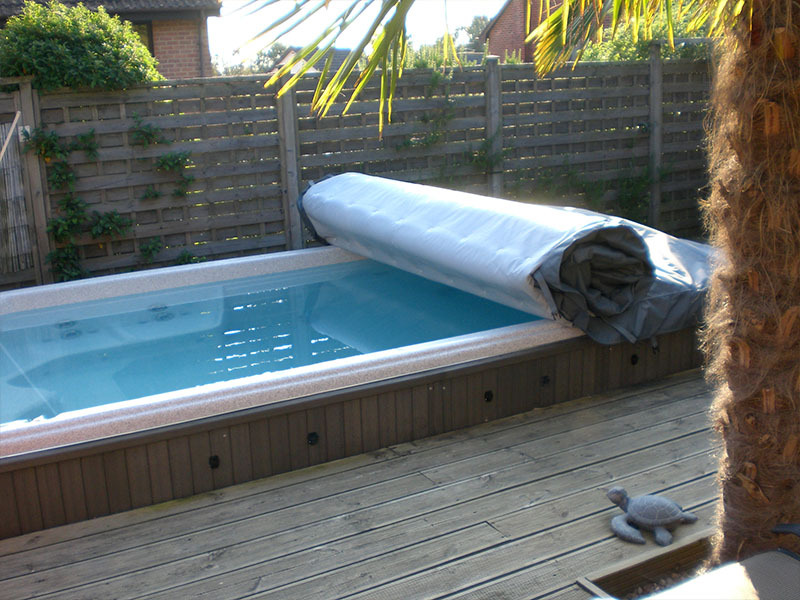 Since its first SPATEX appearance as an exhibiting company Aqua Spa Supplies has increased its potential to cater for all demands of swim spa covers requirements from trade customers. The seasoned hot tub and swim spa distributor is no stranger to SPATEX, having promoted his Aqua Warehouse distributor status of hot tubs and swims spas for USA brand Vita Spa on many occasions when the event was hosted in Brighton that has helped to increase his status in the market. He will now be aiming to generate high levels of footfall that his stands have enjoyed at previous editions of the annual exhibition during his second outing with his Aqua Spa Supplies division. “This will be our second year of having a dedicated stand at SPATEX for the Aqua Spa Supplies side of our Aqua Warehouse Group business,” said Richard, who has reported that his first year of distribution of L.A Spas products to UK dealers has been a successful one with strong British sales, following the USA brand being purchased by Vita Spa owners MAAX Spas. Aqua Spa Supplies Warehouse Manager John Mabey, who is among the Talking Heads in the current edition of Hot Tub Retailer magazine, will be following up his attendance at two 2015 UK Pool & Spa Expo appearances and last year’s SPATEX outing to help highlight the success of the Aqua Warehouse Group’s flourishing trade supply company. John believes the successive appearances at the two West Midlands-based exhibitions has helped Aqua Spa Supplies to raise its profile in the wet leisure market. He also stresses that hot tub and swim spa dealers need to embrace the potential of wet leisure product accessories to help boost customer numbers and profitability. “In the past 12 months we’ve been ramping up promotion of our wide range of Aqua Spa Supplies products and services by attending two UK Pool & Spa Expo exhibitions, SPATEX, and Piscina & Wellness Barcelona. This has proved to be a major success and has allowed us to effectively grow our presence in the wet leisure accessories trade supply market. For details and further information about the wide range of wet leisure products available from Aqua Spa Supplies visit Stand C66 where you will be warmly welcomed by Richard and his team.